‘Tis the season for holiday baking. 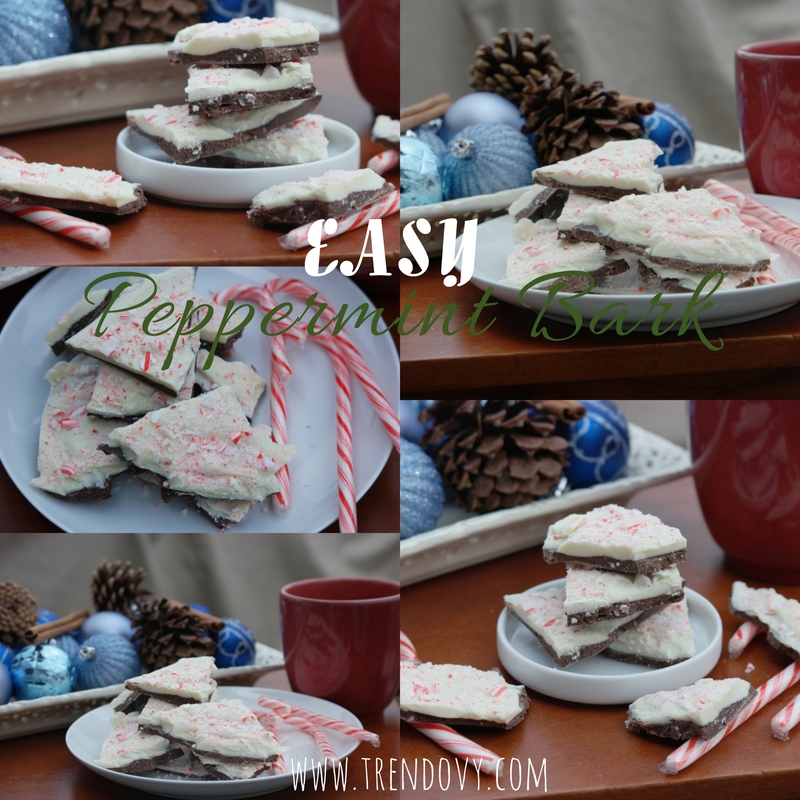 My husband requested that I make some Peppermint Bark along with all my other baking treats. 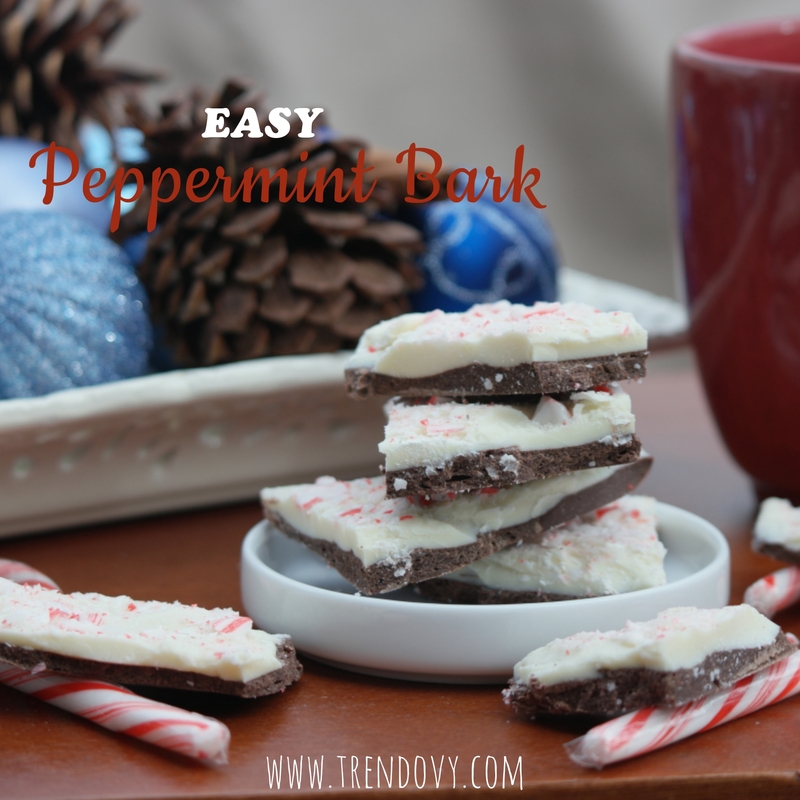 Luckily for him….and me, making Peppermint Bark is super easy! I recommend getting Premium chocolate like Ghirardelli, it will make the difference. If you are on tight budget with all your other holiday expenses–get Ghirardelli White Chocolate Chips and Toll House Semi-Sweet to cut down the cost a smidge. 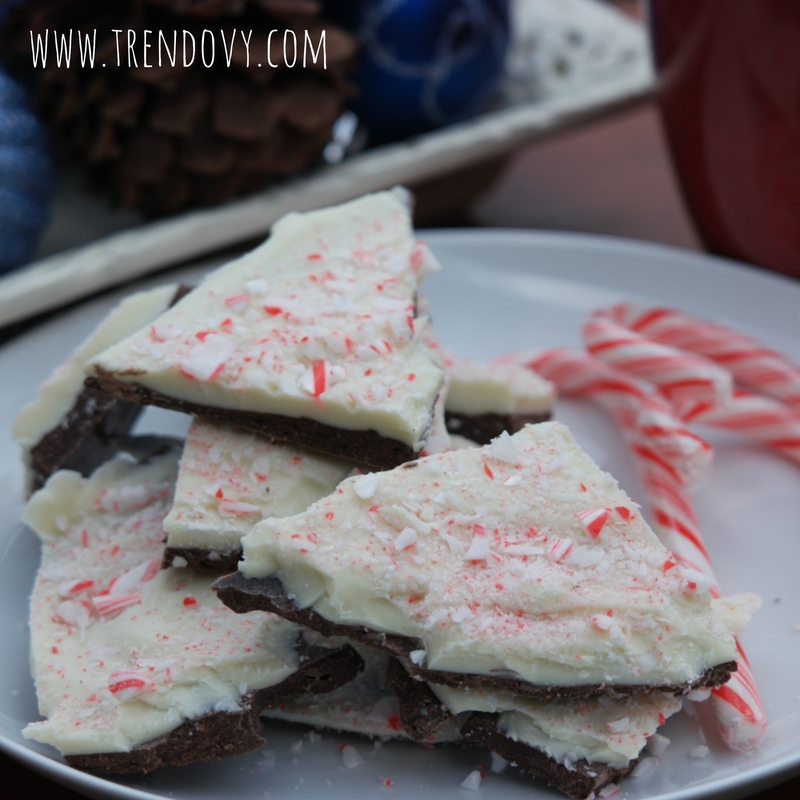 This recipe makes a decent batch of Peppermint Bark for you to share with family and friends too. You just know they’ll be requesting some! Place the semi-sweet chocolate and 3 teaspoons of the vegetable oil in a medium glass bowl. Stir chocolate and oil together until chocolate is lightly coated. Microwave for about 2-3 minutes stirring every minute. Once the chocolate is melted, stir in 3/4 teaspoon of the peppermint extract. Pour the melted chocolate on the prepared pan. Spread evenly over the bottom of the pan. Refrigerate until completely hardened, about 1 hour. If it is cold enough outside put pan outside to hardened, only takes about 15 min. While waiting for semi-sweet chocolate to hardened. Crush your 6 peppermint candy canes in a small zip lock baggie. Place the white chocolate and remaining 3 teaspoons vegetable oil in the same cleaned medium glass bowl. Microwave exactly the same way you did the semi-sweet chocolate. Making sure not to over microwave. Make sure to stir every minute. Once the chocolate is melted, stir in the remaining 3/4 teaspoon peppermint extract. 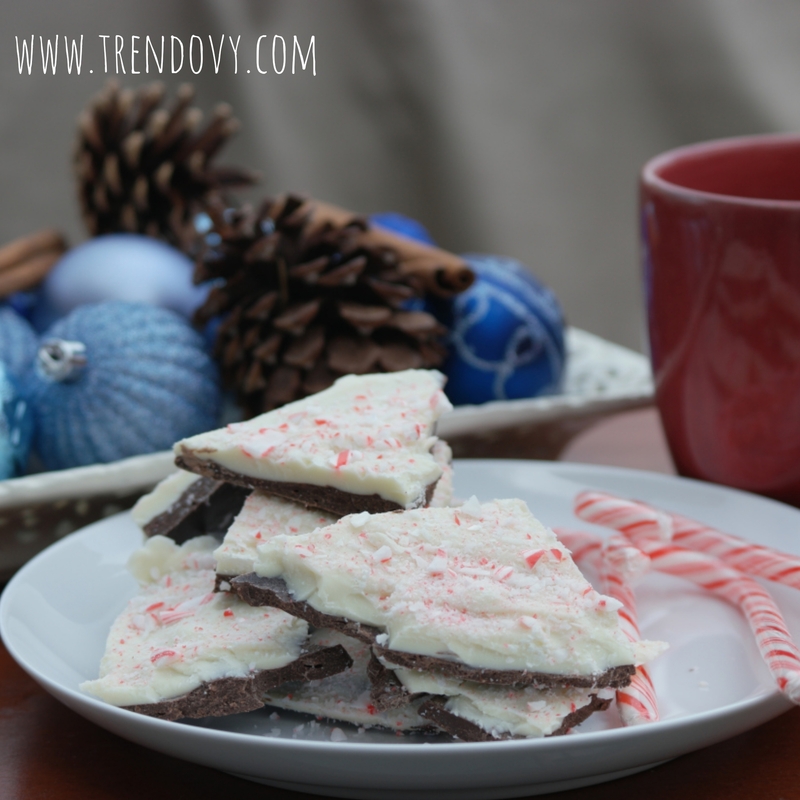 Sprinkle immediately with the crushed candy canes over the top and gently press into the white chocolate. Refrigerate until completely hardened. Remove from pan and break into small pieces. Previous Previous post: December Journaling Prompts!